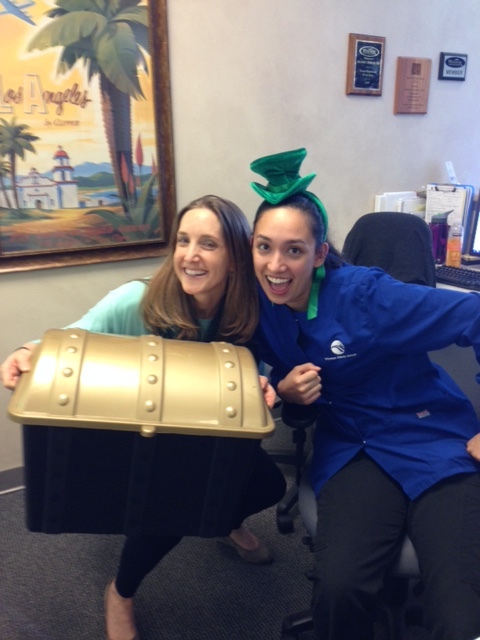 Pot O' Gold found at Windsor Dental Group! Pot O’ Gold found at Windsor Dental Group! HomeAll PostsUncategorizedPot O’ Gold found at Windsor Dental Group! Well, maybe not the real one, but Lindsay and Joelle found this one instead! Having fun in anticipation of St. Patty’s Day on March 17th.